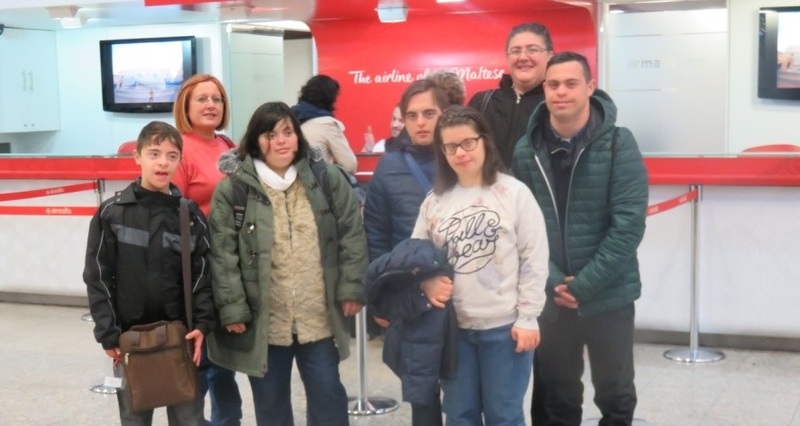 Welcome to the website of the Down Syndrome Association Malta. Here you will find all the information you need on what we can do for you and your family and how to get all the support you need. If you don't know who to turn to, we offer family support. Do contact us. We are here to help you. Our MISSION is to provide the means necessary to empower individuals who have Down syndrome to reach their full potential. Our VISION is to become a model organization that will not cease until every person who has Down syndrome is a valued member of society. To encourage people who have Down syndrome to fulfill their potential for successful and happy lives, in a society that recognises their abilities and is supportive of their needs. To contact parents of newly born babies who have Down syndrome as early as possible and to provide counselling and support particularly in the early stages of a baby's life. To represent the interests and needs of people who have Down syndrome in all aspects of life and individuals' needs, as members of the family and the community. To increase public awareness and understanding of the nature of Down syndrome people so they can lead a rewarding and full life. To press for better services and greater choice in the facilities offered to children and adults who have Down syndrome, such as education, therapy, training and independent living. To support professionals in their work and research of Down syndrome. Down syndrome is the most common known cause of intellectual disability. An extra copy of chromosome 21 (trisomy 21) causes it. For some unexplained reason the child has 47 chromosomes instead of the usual 46. It is the result of a genetic accident at the time of conception or soon after and not caused by anything the parents might have done before or during pregnancy. Down syndrome affects people of all ages and races irrespective of economic levels or culture. It is one of the most frequently occurring chromosomal anomalies found in humans, occurring approximately once in every 660 births. In Malta it is recorded that, approximately 5 to 7 children with Down syndrome are born each year. Down syndrome is recognisable at birth because of some typical physical characteristics and later confirmed by chromosome analysis. People who have Down syndrome do have features in common. Each person is an individual, with a unique appearance, personality and possibly a different set of abilities. The physical characteristics of the syndrome are no indication of the child's intellectual ability. It is NOT a disease and cannot be treated. In the past, people who have Down syndrome were expected to achieve little. With early help and stimulation the chances of Down syndrome people enjoying life and reaching their full potential are greatly increased. It is called Down Syndrome after John Langdon Down, the doctor who first pointed it out in 1866. The Association is a voluntary non governmental organization (V/O 0159), established and run by parents of persons who have Down syndrome. It relies entirely on voluntary donations to continue with its work. The work of the Association depends upon the generosity of its members and the general public through donations that help in meeting the administrative costs and the subsidisation of the services offered. All donations to the Association are also tax deductible. Parents / Guardians / Carers of children who have Down syndrome and adults who are 16 years of age and over who have Down syndrome are strongly encouraged to become members. You can also become an Associate Member and thus help us achieve our aim. If you would like to become a member, e-mail now to the Secretariat info@dsa.org.mt or call on telephone number 21235158. You can also download membership form underneath and send together with cheque to 45, South Street, Valletta.